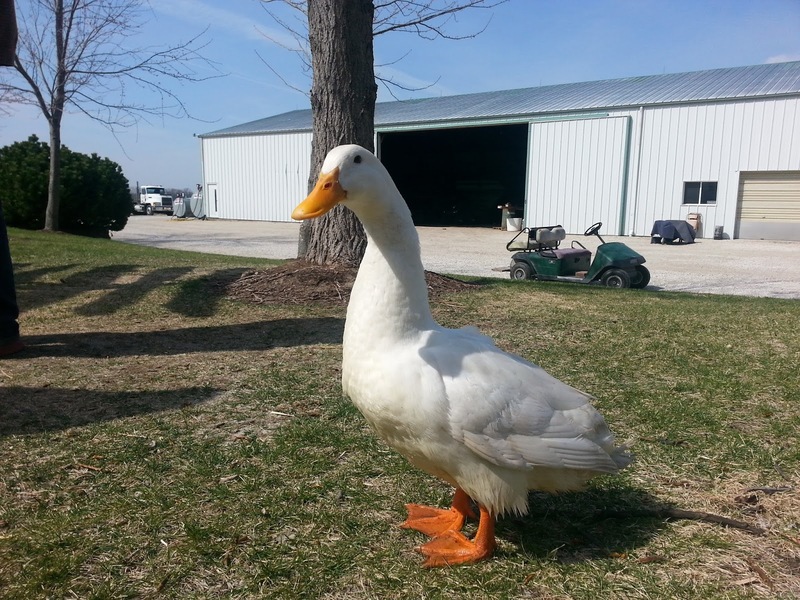 Last week, we said goodbye to our sweet and loyal pet duck, Kevin. It was honestly one of the hardest goodbyes we've had in such a long time when it comes to our pets.We knew he had been sick for about a week. In February, we had a rooster die. We knew he was sick too, and we think Kevin might have been sick from him. I think I've mentioned before how I'm not too attached to our chickens even though I love having them around. Kevin was different though. He would interact with us on a daily basis. I'll miss his quacking, the funny way he looked up at us, how he would walk up to us and give HUGS! Yes, he would run up and give me a hug when I would get on his level. 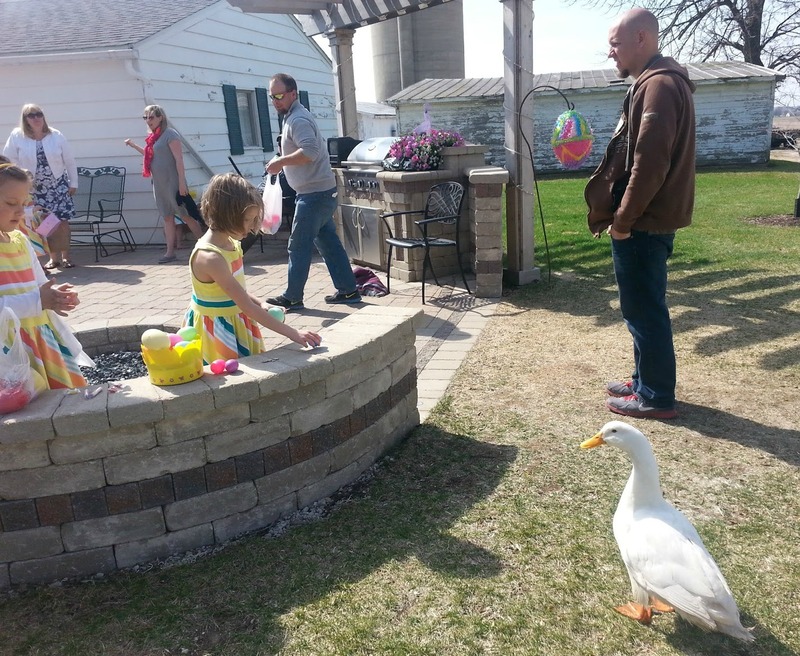 Bill gave him the nick name, Kevin the Easter Duck. As you can see, we just loved our sweet Kevin! It's actually really surprising we had him for six years. Pets don't always stay around too long when they're outside. 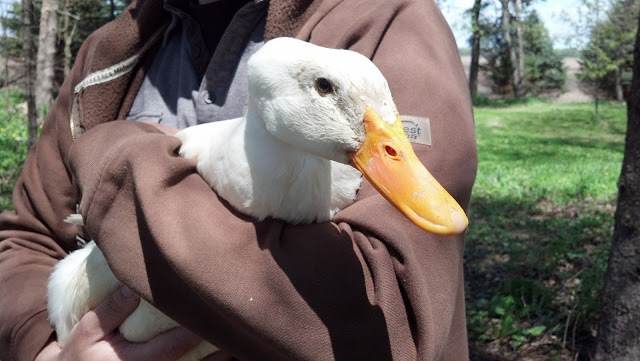 We had a couple of predators get to our animals despite our best efforts throughout the years, and Kevin always made it out alive. It was kind of amazing. Kevin was held the most out of all of our animals too. He was definitely a favorite! 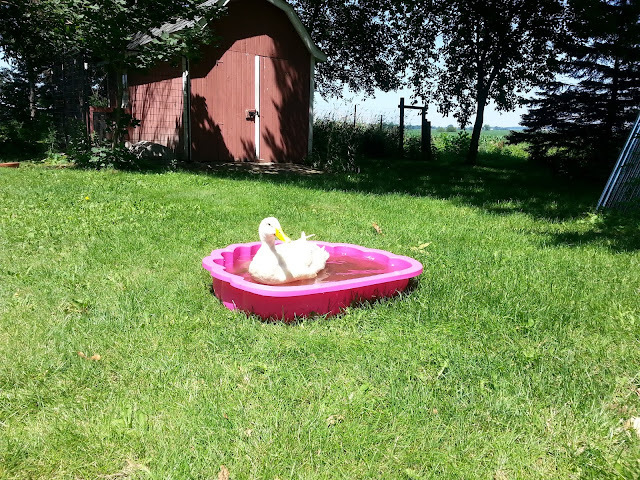 He LOVED his pool, and we loved watching him swim in it every summer. 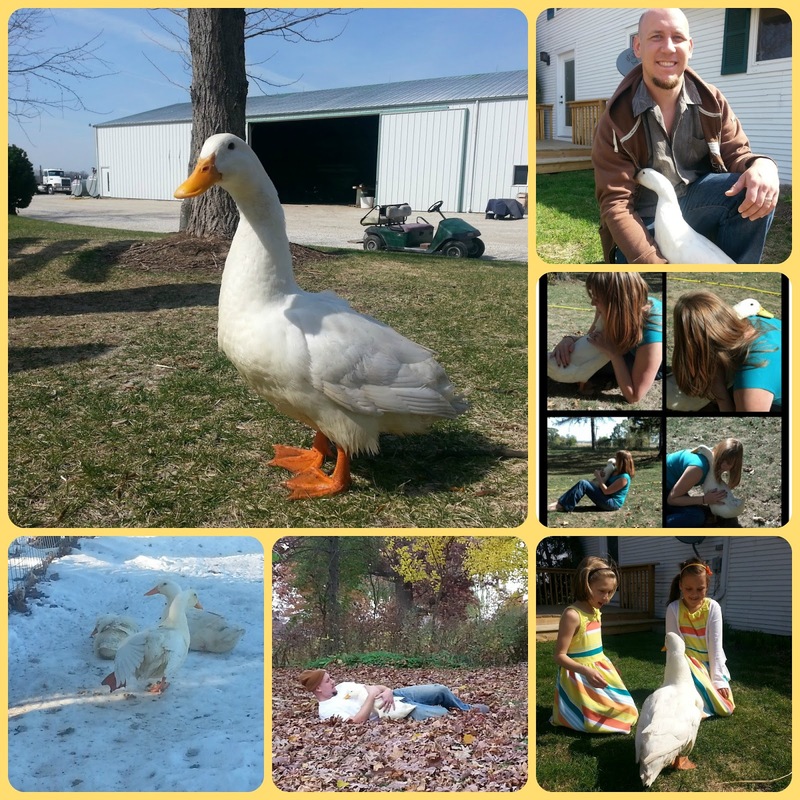 These last two pictures are from Kevin's last week with us. I tried really hard to nurse him back to health. 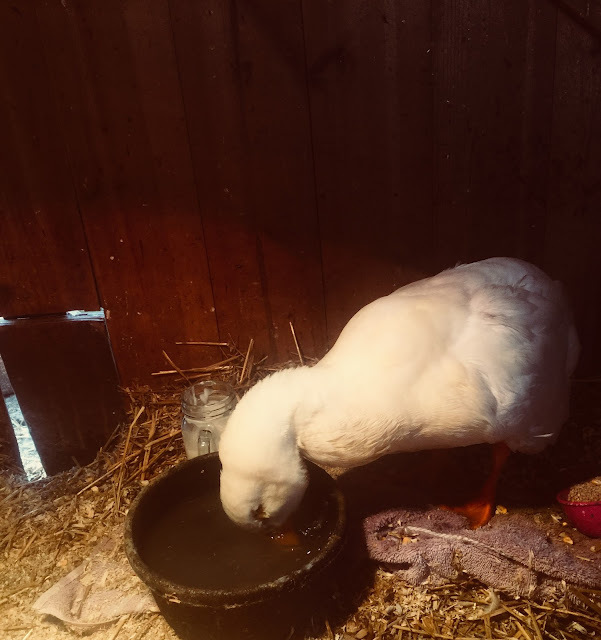 I gave him yogurt with honey and put apple cider vinegar in his water. Thanks mom for helping me with ideas! On his last day with us, he went outside for the last time. He drank out of his pool and sat outside for most of the day. We'll always love you, Kevin! You were the best!